Brazil-based grain processors are negotiating export permits with the Chinese government for dozens of soybean and cotton processing plants as crushers seek to boost capacity utilization and sell higher-value products, a trade group said. Daniel Amaral, an economist at crushers association Abiove, said on Monday the entity is seeking permits for between 30 and 35 soy and cotton crushing units to trade in soymeal and other oilseeds byproducts with China. The domestic industry’s total crushing capacity is 63 million tonnes with processors poised to crush some 44 million tonnes of soybeans in 2018, according to Abiove. If the export permits are negotiated successfully, Brazilian crushers could boost annual soymeal output by around 4 million tonnes per year, Amaral said. The move could also help Brazil close the gap with rival Argentina in soymeal exports. 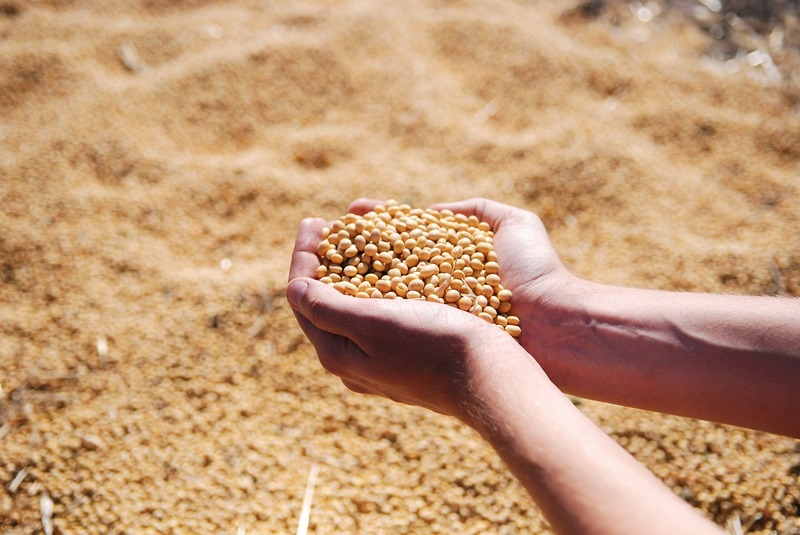 The Brazilian government ended export taxes on soybean, meal and soyoil exports in the late 1990s. These products were taxed at different levels with soy getting the highest rate, creating a kind of incentive for the beans to be processed locally. Argentina still taxes soy and derivatives exports at 18 percent plus a tax of 4 pesos per export dollar. Its government’s decision last year to suspend a gradual reduction of such taxes may reduce its own exports. César Borges, an executive at family-owned crusher Caramuru Alimentos SA, said removal of Brazil’s export taxes on beans and byproducts put domestic companies at a disadvantage in relation to rival soy processors in Argentina, since the incentive to process the beans locally disappeared. He defends creation of a common external tariff within the Mercosur trade bloc “to level the playing field,” but his idea is opposed by Abiove, which says it would disrupt the entire supply chain. Instead, Abiove is in favor of talks to open up new markets and of a revision of Brazil’s own tax rules to eliminate “distortions” that weigh on soymeal and soyoil production, Amaral said. Brazil produced 32.8 million tonnes of soymeal in 2018 and exported about half of that amount. Argentina’s soymeal exports were 24.2 million last year, down by 14.5 percent after a severe drought. Brazil’sMinistry of Agriculture did not comment on the potential creation of a common soy export tariff. A source at the ministry said Brazil became the world’s largest soybean exporter thanks to the removal of export taxes . “Restoring them is out of the question,” the source said.